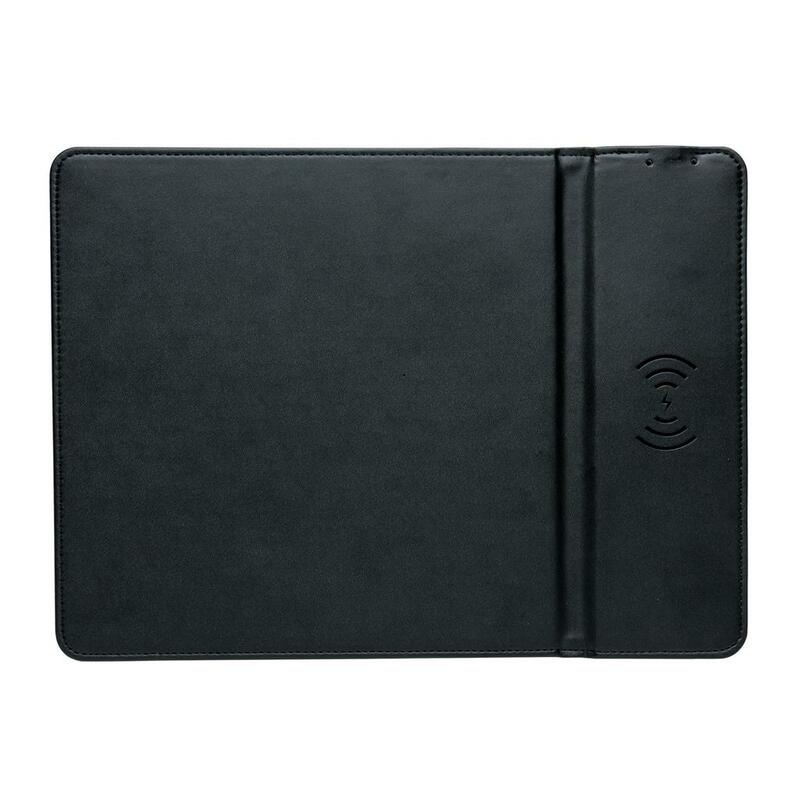 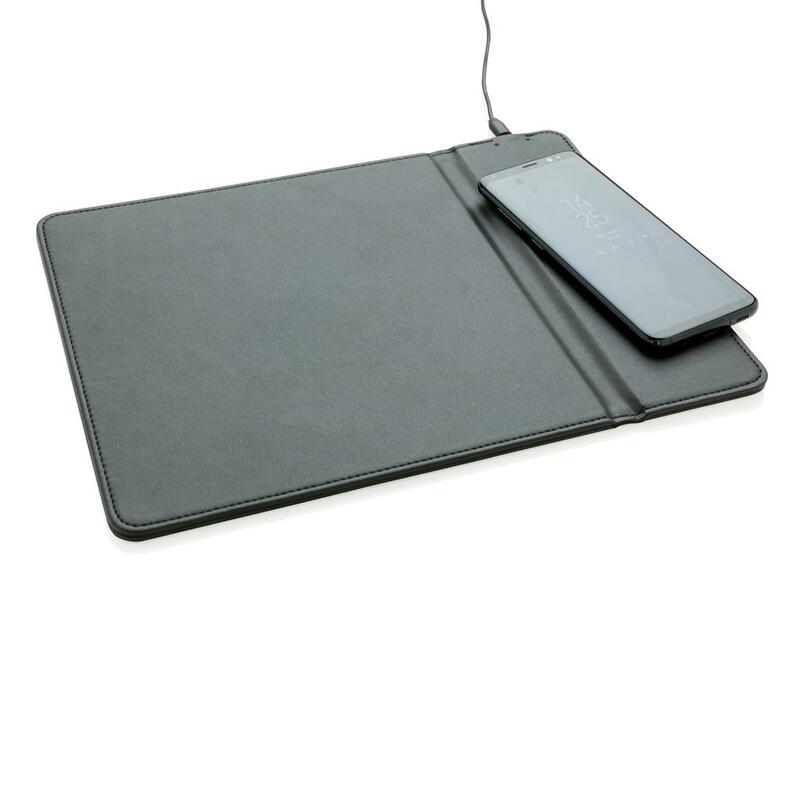 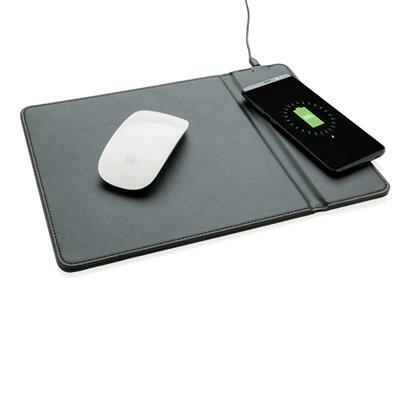 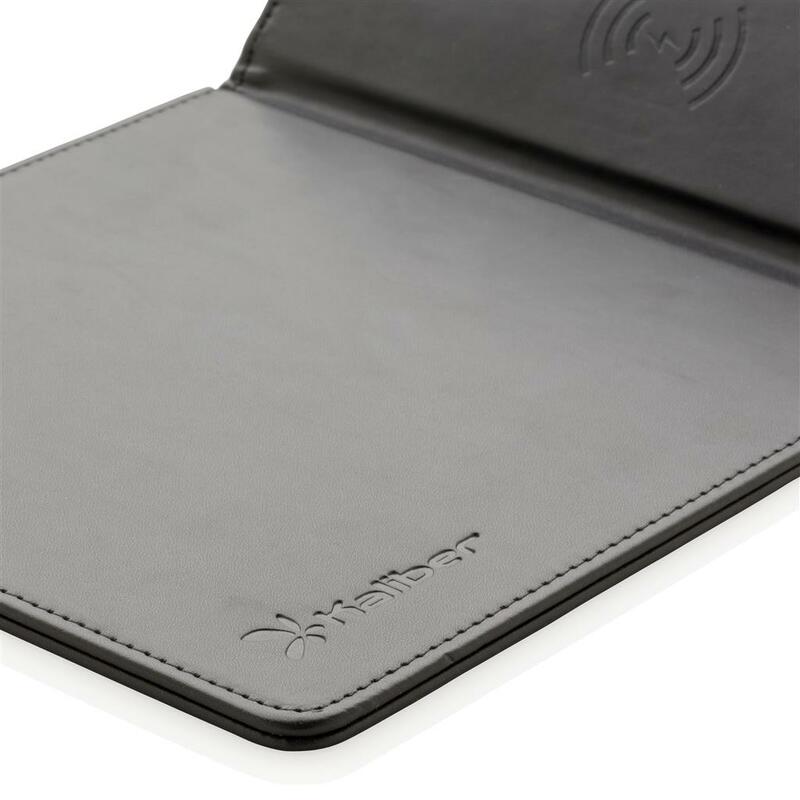 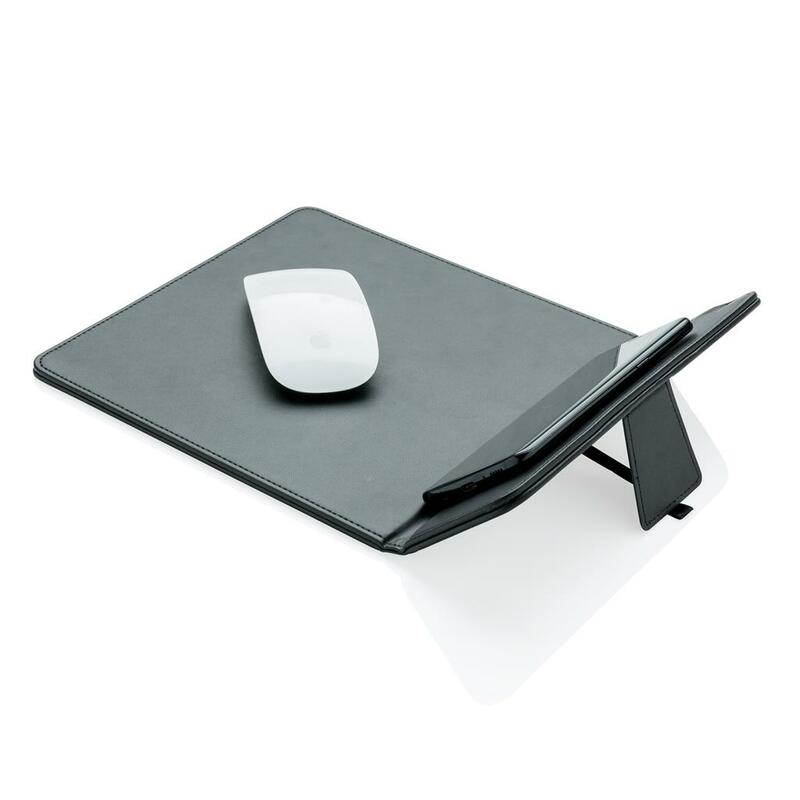 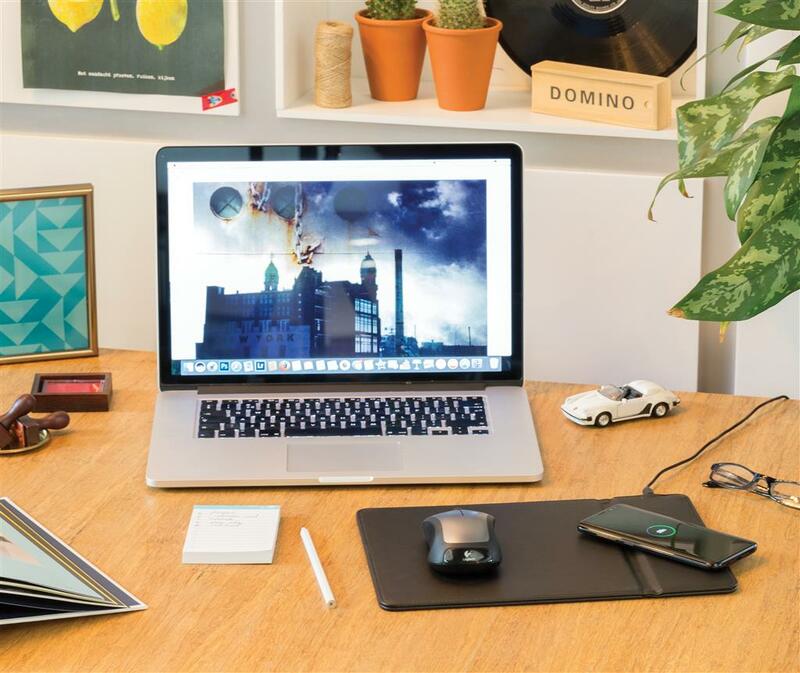 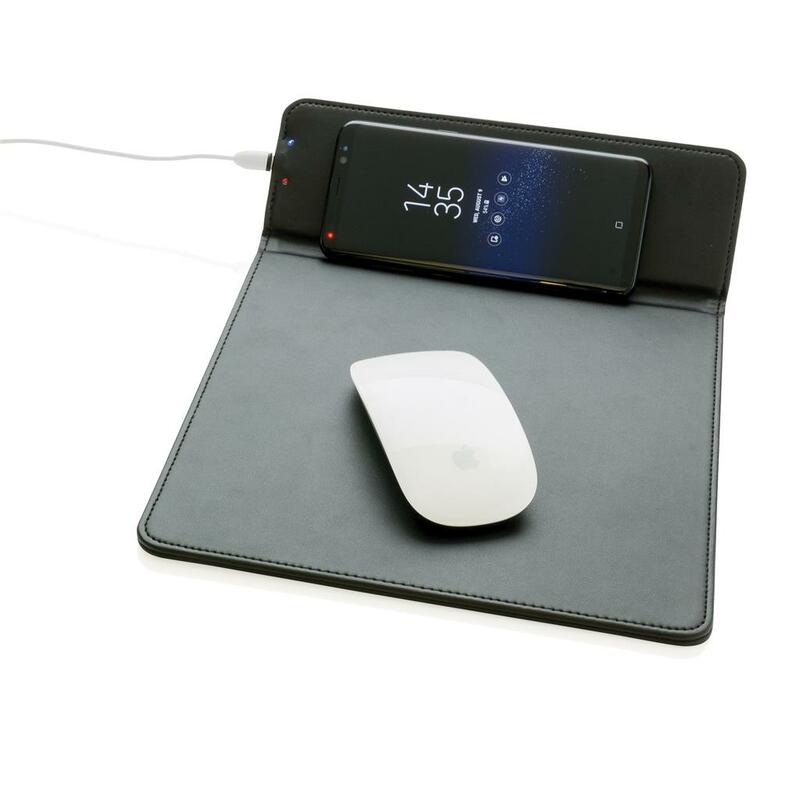 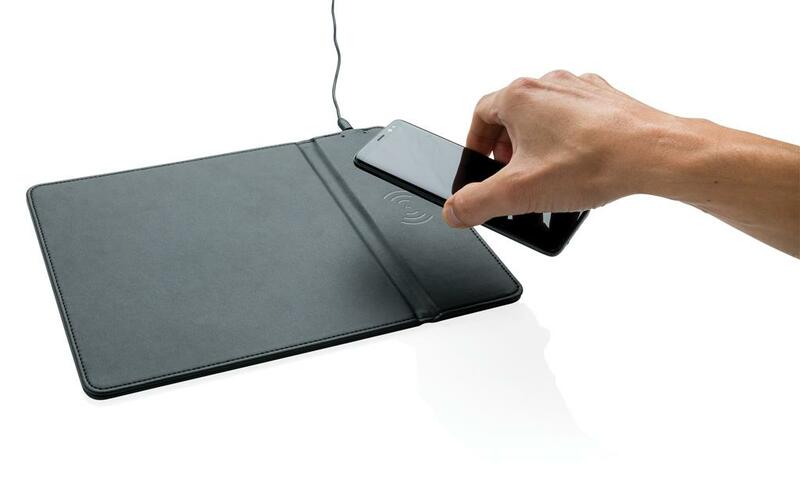 PU mousepad with integrated wireless charging pad to charge all mobile devices that support wireless charging (Android latest generations, iPhone 8 and up). 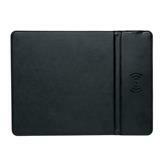 The wireless charging part can be also used as stand for your mobile device. Including 40 cm micro USB cable to connect the mousepad to the USB port of your computer. 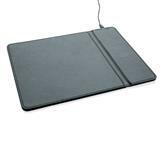 Input: 5V/1A. 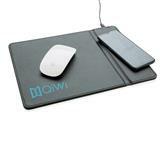 Wireless output: 5V/1A 5W.